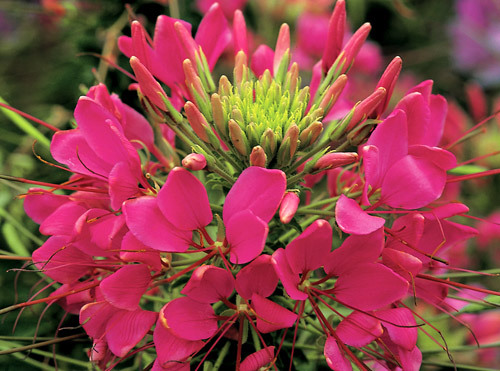 Cleome Rose Sparkler Series - Brad's Bedding Plants, Inc.
As a hybrid, this Cleome Series is genetically more dwarf, resulting in a plant habit about ½ to 2/3 the size of a traditional garden Cleome. The bushy, well-branched plants grow very uniform in the garden, thus makinh it a great focal point in your landscape planting. Height: 42-48” with a 12” spread. Grow in full sun to partial shade.